We just highlighted a brief response to a piece in the Spectator which was an opinion article by Margaret Thatcher’s biographer, Charles Moore. The article was peppered with, well….opinions and whilst we disagreed with his opinions, Moore nonetheless raised the issue of hate incidents against Sikhs. This is something that we both agree upon. Ideally, we believe that there should be a hate crime monitoring flag for all faiths and with Sikhs for example, able to be categorised as a separate flag for recording and monitoring within police forces. It also needs to be recognised that some Sikhs are targeted since people see them as being Muslim and hence there is an element of anti-Muslim bigotry associated with the hate incidents. This reflects on the motivation and the belief of the perpetrator. Yet, it also reasonable to assume that Sikhs are seen in the eyes of some perpetrators, as being ‘the other.’ These are just some of the motivations that may be at play regarding hate incidents against Sikhs. Following on from this, it is irrelevant whether the number of hate incidents against Sikhs is small in number. That is the assumption that is made and may well be true. Some suggest that there may be anything between 1-200 cases nationally, but this is a guestimate and further re-enforces the need for hate crime reporting flags for a variety of faiths. Interestingly, over the last year, we have had 3 cases of Sikhs who were perceived to be Muslim and who suffered a hate incident. Whilst our focus is on supporting victims of anti-Muslim hate, our service is also based on the ethos of assisting individuals who may have suffered hate incidents and crimes and we assisted the individuals in their respective cases. We will not turn away individuals who approach us with evidence of having suffered a hate incident and these cases in particular, were moving since the Sikh victims felt a sense of empathy with Muslim communities, yet they also wanted recognition that they had been targeted and felt that a part of their identity had been abused. Over the last year, we also supported calls for the investigation into a case of a Christian convert who had converted from Islam, who had been attacked. He suggested that he had been targeted because of his conversion and we publicly made clear through various press sources, that such hate incidents needed to be tagged as a hate incident based on his new faith. So much for not dealing with Christianophobia! Finally, we have come across articles that push the line that Muslims are getting some form of ‘special treatment’ because they ‘shout about Islamophobia’. Let us make clear that none of us enjoy the threats, abuse and intimidation that we receive and we have lost count of these that have been targeted at our project and staff for simply trying to help victims of anti-Muslim hatred. Nor do we enjoy the on-line intimidation and harassment, which also includes scurrilous comments and articles based on opinion or conjecture. We have chosen to do this work to try and help victims of hate, prejudice and intolerance and this year, we will be publishing a clearer and more accurate picture of the state of anti-Muslim prejudice in the United Kingdom. With well over 1000 cases in 2015 to Tell MAMA, if anyone can hand on heart think that anti-Muslim prejudice or Islamophobia does not warrant support and action, then there is much work to be done in the future. Some people may come to this view from a genuine lack of awareness, others from a mendacious position which means that we will not see eye to eye. Only the future will tell. 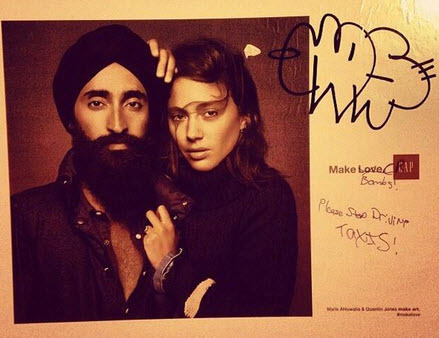 The post Sikhs Are Not Forgotten & Should Not Be in Hate Crime Work appeared first on TELL MAMA.